Module for working with charts with sheetsee.js. It provides three d3 chart options to use with your spreadsheet data. Below is a portion of the sheetsee.js documentation regarding charts, for the full sheetsee.js documentation, go here! 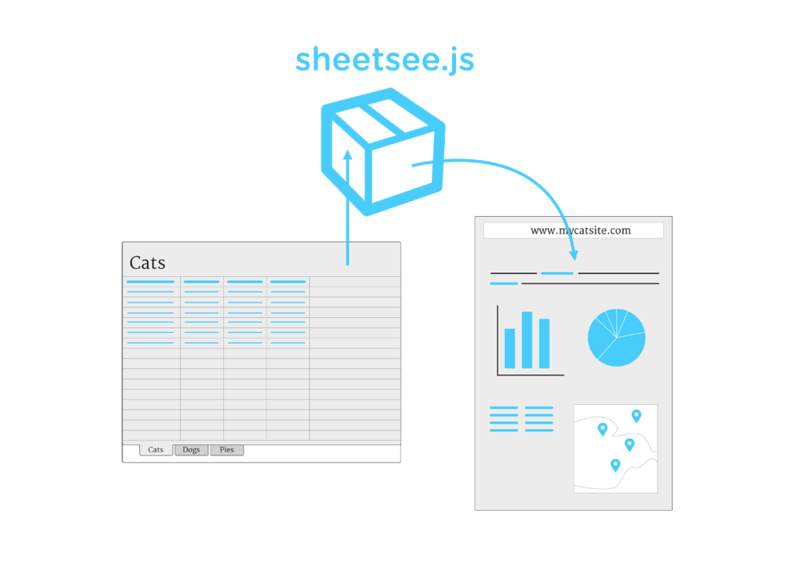 Sheetsee.js comes with a d3.js bar, pie and line chart. Each requires your data be an array of objects, formatted to contain "label" and "units" keys. See the section above on Your Data to learn about formatting. You'll have to experiement with the charts to find the correct size your <div> will need to be to hold the chart with your data in it nicely. You can also make your own d3 chart in a separate .js file, link to that and pass your data on to it. I'd love to see people building some other charts that will work with Sheetsee. To create a bar chart you'll need to add a placeholder <div> in your HTML with an id. In your CSS, give it dimensions. In a <script> tag set up your options. hiColor is the highlight color of your choosing! Then call the d3BarChart() function with your data and options. To create a line chart you'll need to add a placeholder <div> in your html with an id. Then call the d3LineChart() function with your data and options. Then call the d3PieChart() function with your data and options.